This new series provides an ideal platform to study chess openings. By continually challenging the reader to answer probing questions throughout the book, the Move by Move format greatly encourages the learning and practising of vital skills just as much as the traditional assimilation of opening knowledge. Carefully selected questions and answers are designed to keep you actively involved and allow you to monitor your progress as you learn. This is an excellent way to study any chess opening and at the same time improve your general chess skills and knowledge. In this book, Cyrus Lakdawala examines the Caro-Kann, which enjoys a richly deserved reputation as one of Black's most reliable defences. It provides an ideal blend of soundness and dynamism, which allows Black to create counterplay from a solid platform. 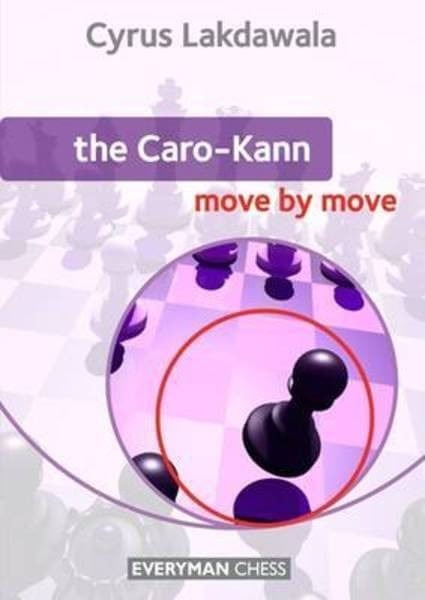 Lakdawala shares his experience and knowledge of the Caro-Kann, presents a repertoire for Black and provides answers to all the key questions.